I simply cannot have only one project on the go at a time. I may want to watch something on TV that takes more or less of my attention, I may want to take a project in the car for those long drive, I may want something that takes all my concentration and distracts me from whatever aggravation the day developed. Variety is the answer, and lots of colour, and many, many tote bags and baskets. 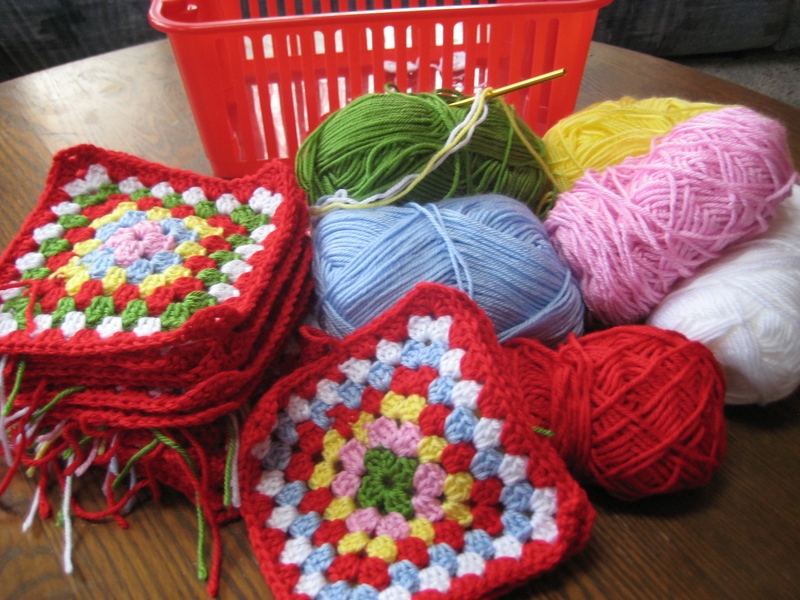 I started this afghan months ago based on a picture on Pinterest and inspired by Cath Kidson colours. 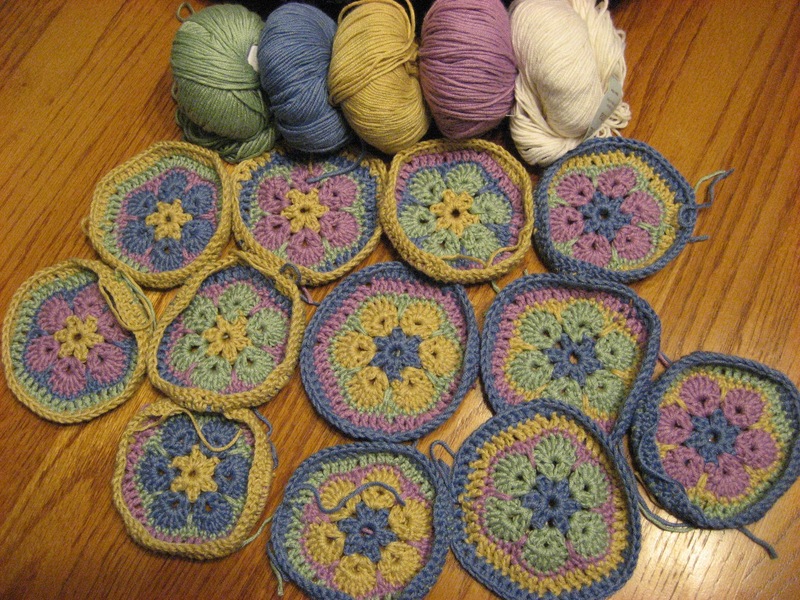 I still love the colours, but I have realized that I get boredwith projects that are small motifs. 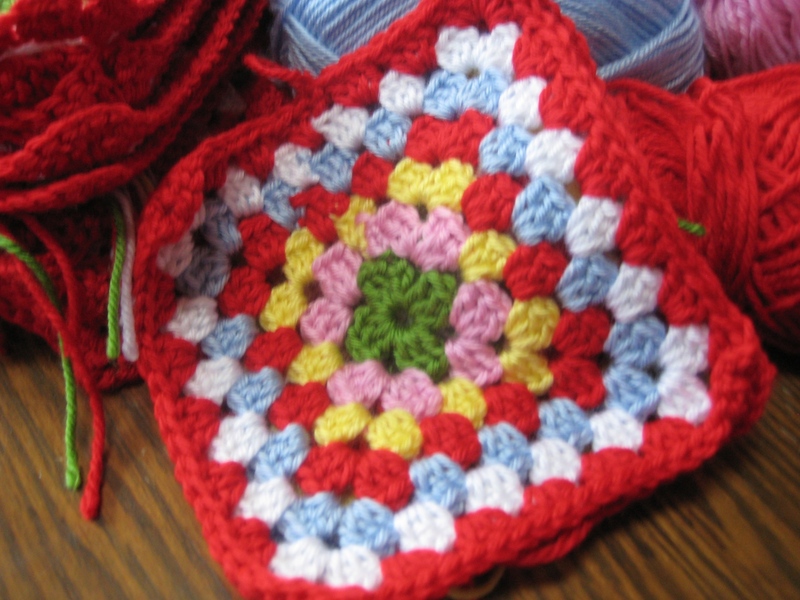 Very stalled on my African flower blanket…. it has not progressed from here. And now I have another motif started and stalled. 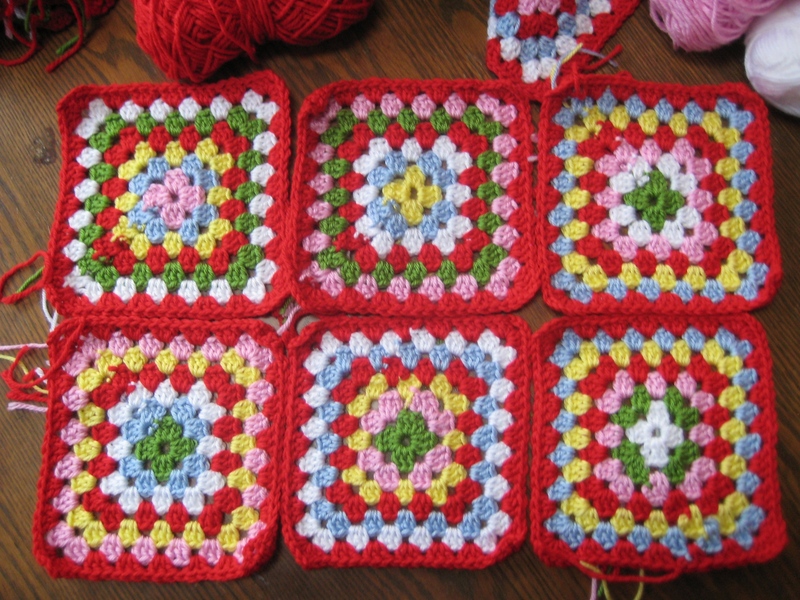 So my new plan for the red afghan is to join the squares I do have made into a couple of rows and then start adding rows of double crochet, and clusters on either side and make it a granny stripe with a row granny square blocks at each end. 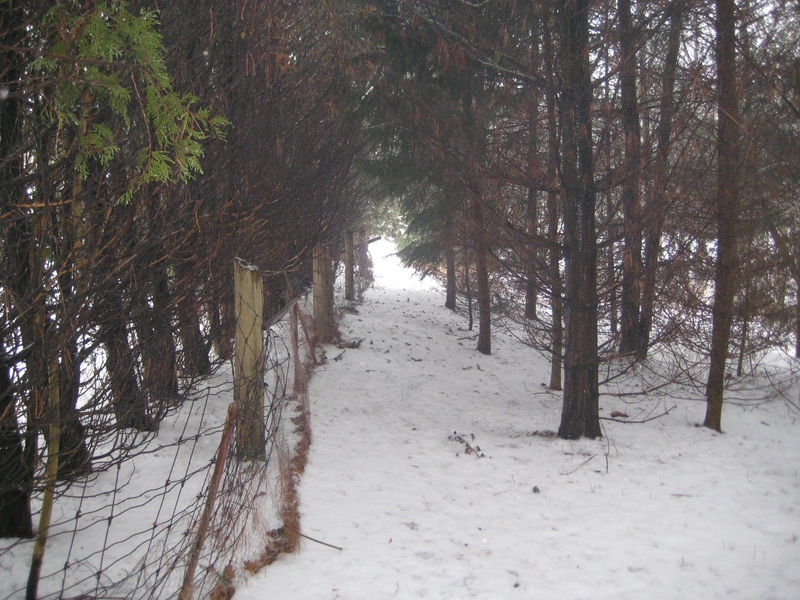 Meanwhile, outside today is a lovely snowy day. 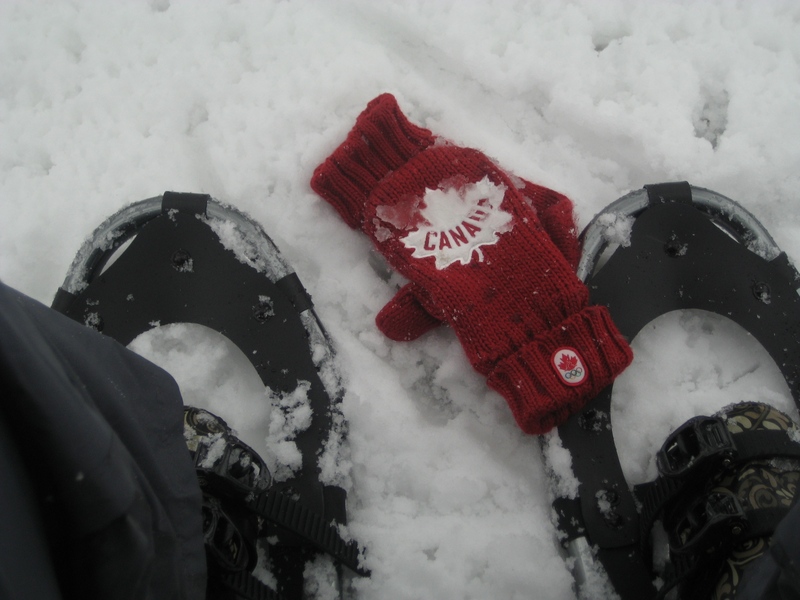 Very grey skies still as we get another 5 or 6 cm of snow. 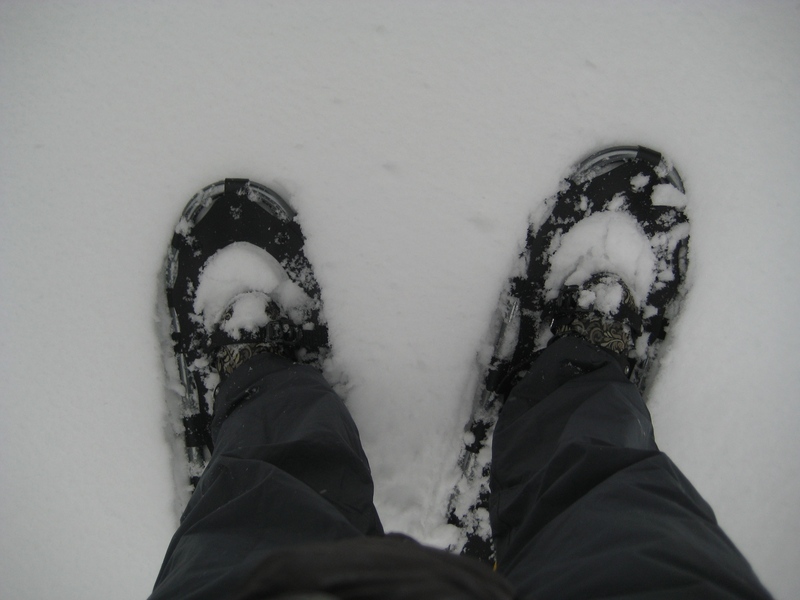 It is mild and the snow is wet, but there is enough to test out my new snow shoes! They are great! And I soon remembered what a workout it can be. 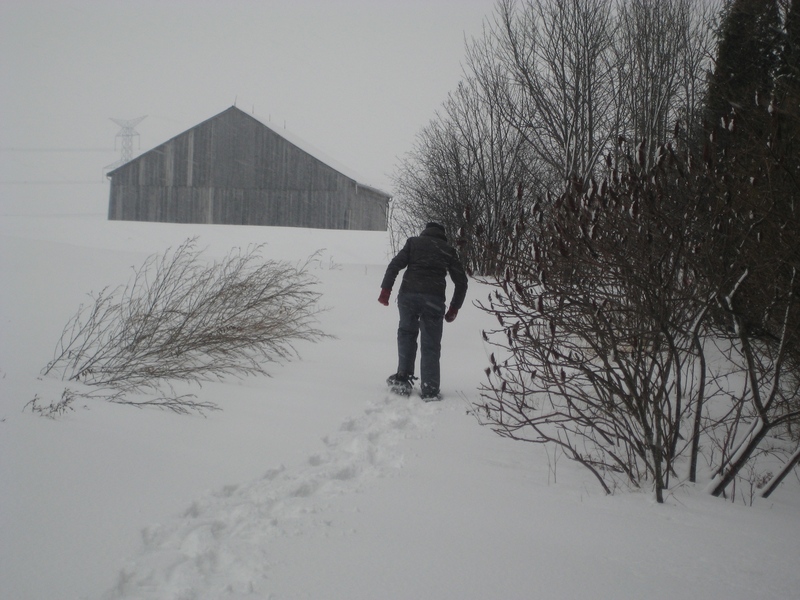 But new snowshoes are light and easy to wear compared to what I remember as a kid or rentals I have used. Aluminium frames and ratcheting straps. Pretty! I’m enough of a Cali girl that living in snow like that seems exotic and fun. I’ve been told it would take me less than a week to change my mind about that. I love the crochet, especially the African flower motifs. Is it your pattern?